This is a remake of Scramble It looks like a clone but it has improved graphics and an extra level! 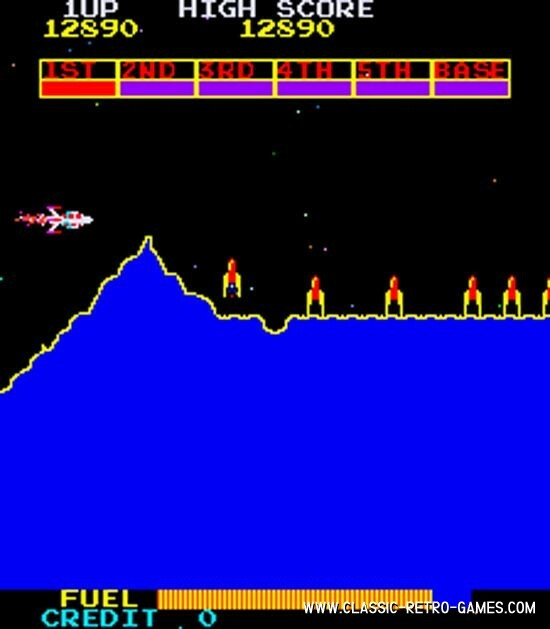 Scramble is a real video game classic. 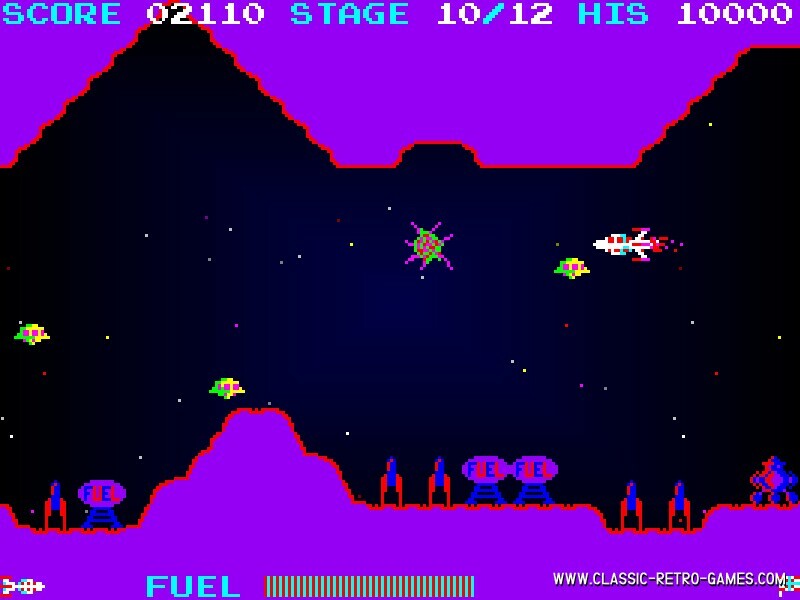 It was first released in 1981 as a coin-op videogame. 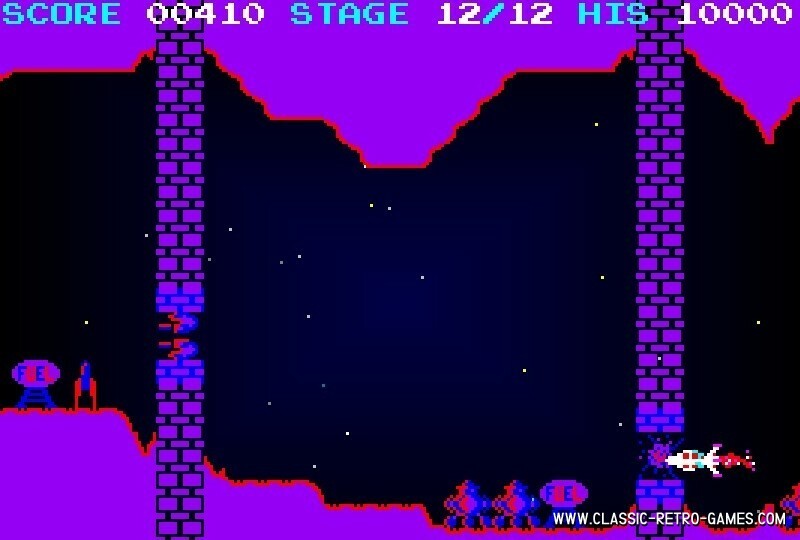 Due to it's popularity it soon got ported on systems like the ZX-Spectrum, Commodore 64 and Vectrex. Currently rated: 4.3 / 5 stars by 124 gamers.